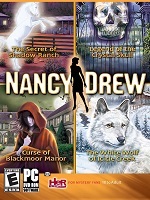 For a round-up of my top picks of the new mystery adventure game releases on Big Fish. For PC and Mac Download. Check out: Best BigFish Mystery Games 2018 (Jan-March). Crime-solving games with Pikachu! Check out: Detective Pikachu for Nintendo 3DS, new on Amazon. Blue Tea Games are back making the Dark Parables games! Check out my: Dark Parables: Return of the Salt Princess - Review.. For details of their latest fairy-tale detective hidden object puzzle adventure game. For PC and Mac. Season 4 of the Criminal Case series from Pretty Simple. Now available from the app stores for smart phones and tablets. For details, visit my post: Criminal Case Season 4: Mysteries of the Past. GameHouse's new crime-solving game. With time management and detective game play. For Amazon Fire, Android, iOS, PC and Mac. 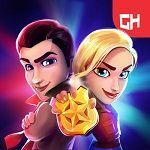 Check out: Parker and Lane: Criminal Justice Detective Game. The X-Files Deep State, a story-driven hidden object game for mobile. Help the FBI solve their most perplexing cases. And investigate mysterious crime scenes that defy explanation. For more details: The X-Files Deep State Game. See also my New Detective Games Reviews. For PC, Mac, iPad, iPhone and Amazon Fire. Don't forget, you can Subscribe or Follow and get updates of my latest posts.